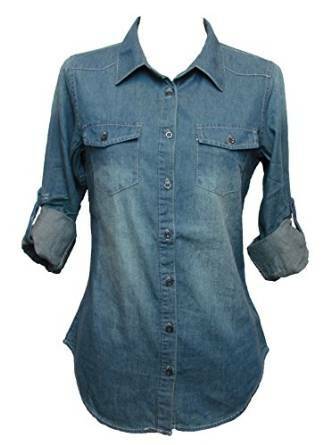 For many seasons now, the denim shirts are a must-have for many women. It is for sure a classic piece of outfit which can be easily matched with many pieces of clothing from your wardrobe. The denim has an impressive history, starting in the XVIIIth century when in North America the first denim clothes were made. Meanwhile, of course, the denim evolved a lot. Whether you are wearing a denim shirt with a pair of leather pants, a maxi dress and a blazer, it’s your own personal choice. There are so many options out there and the denim shirt seems to be a piece of clothing that will never go out of style. It is extremely comfortable and, as I was saying above, highly versatile. 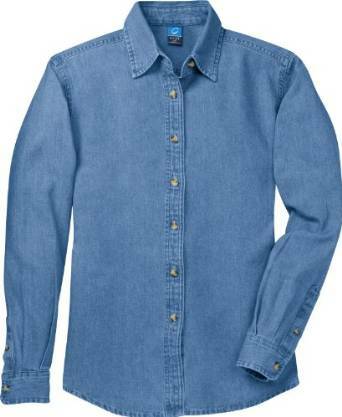 You may wear the denim shirt with jeans if you like to. All types of jeans work. Also, you can reinvent yourself with a pair of flared pants and a simple T-shirt. Bear in mind that larger and longer models of denim shirt work best with skinny type of pants, while tighter and arched models work better with skirts, large pants and flared ones. 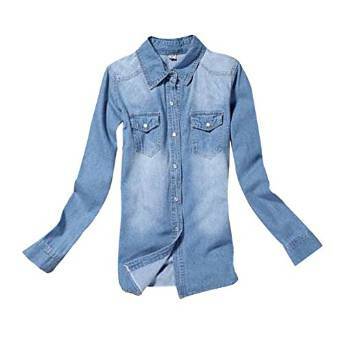 No matter your choice, you should bear in mind that, while the denim shirt is very comfortable and versatile, it can help you create with a little of inspiration some very chic combos. Important is to feel good and enjoy wearing one.